The Hoover H-FREE cordless stick has been elected Product of the Year 2019 in the Vacuum Cleaner category. 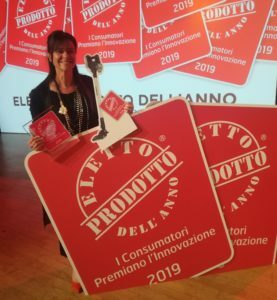 “Product of the Year” is a prestigious recognition, awarded this year to 49 products and services based on the vote of 12,000 consumers through an online survey conducted by IRI, a market research leader. H-FREE is characterized by easy handling, flexibility, high suction and autonomy. The maneuverability is allowed by the new H-Lab Flat & Drive brush, which rotates at 90° and 180° and is able to bypass any object. Moreover, this appliance is light and equipped with front LEDs that facilitate the visibility. The power of the engine, the air flow and the H-Lab Flat & Drive brush guarantee an excellent level of cleaning on any type of surface.